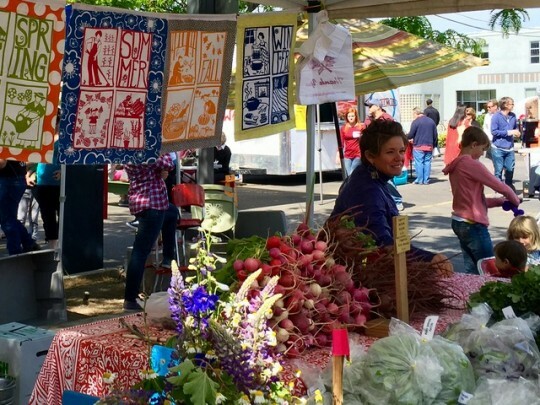 In late May, we spent a few days in Boise, Idaho. It turned out to be one of the most delightful cities we’ve yet visited, a near perfect combination of culture and nature (and great food). 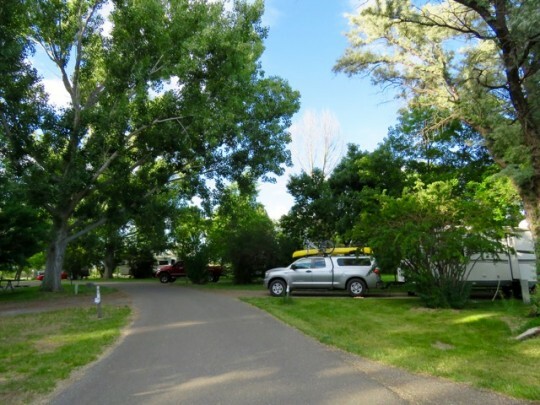 Our RV Park backed up to the Boise Greenbelt, making it convenient to hop on our bikes and head into town. 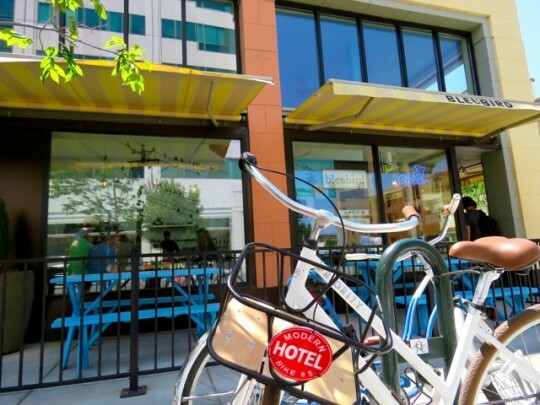 Any city that makes it easy and enjoyable for people to get around via walking and biking scores big points with us—and the Boise trail system is one of the best we’ve come across in our travels. 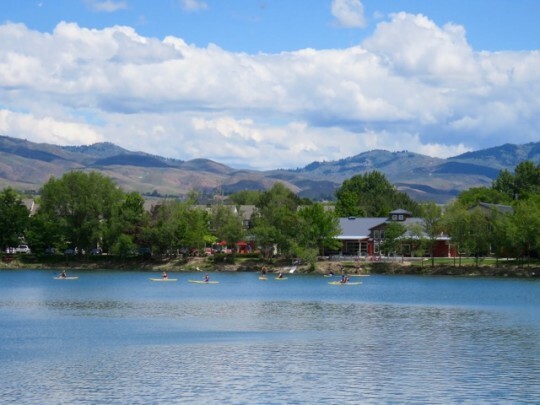 Twenty-five miles of paved trails hug the banks of the Boise River, offering a scenic ride through wildlife habitat and riverside parks, and providing easy access to the city center. I even felt comfortable biking the streets of downtown Boise—not something I generally enjoy. 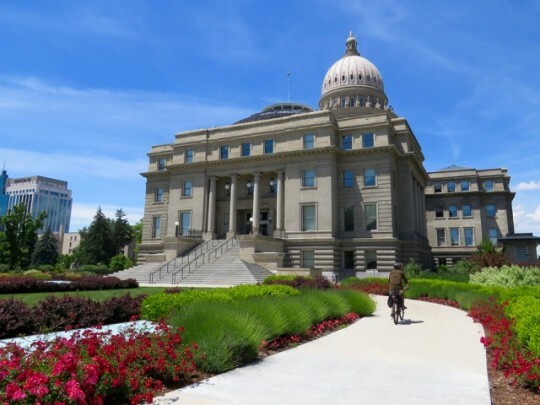 We biked for several hours each day, exploring whatever caught our attention along the way, including the lovely city parks, the Boise Art Museum sculpture garden, the inspiring Anne Frank Human Rights Memorial, and the attractive capitol building (which looks like a miniature White House). 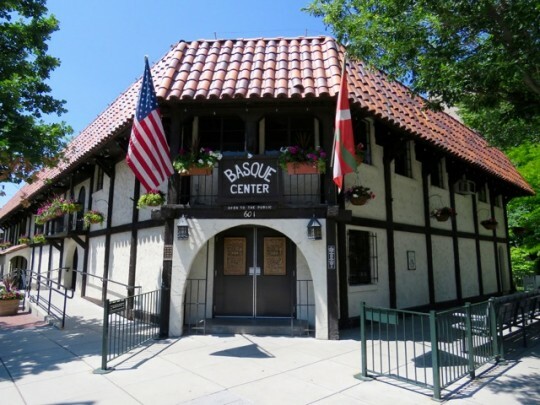 One of the highlights of our time in Boise was a visit to the Basque Block in the heart of the city. 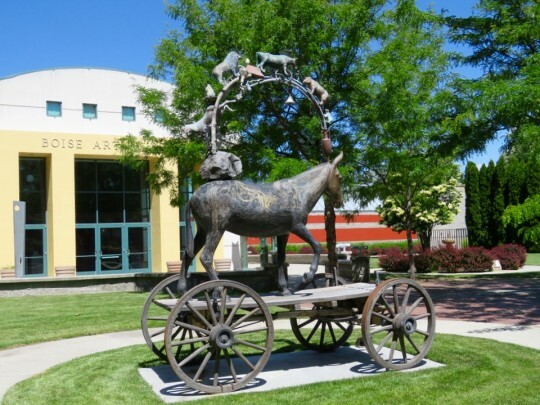 Basques originally made their way to Idaho as miners and sheepherders. I imagine that they felt comfortable in the golden hills of Idaho, which must have reminded them of the Pyrenees, their homeland that straddles the border between Spain and France. 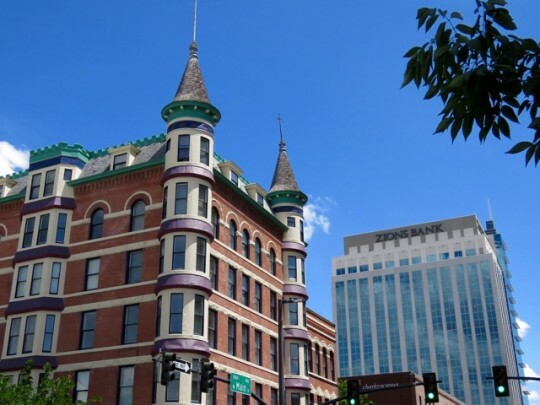 Boise has one of the largest Basque populations in the United States, and the Basque Block is a lively community, with a museum, cultural center, and restaurants featuring delicious Basque specialties (paella!). Our dinner at the Basque Market was excellent. Boise surprised us with other fine food offerings—we had a memorable casual lunch at Bleubird, a friendly downtown café where the owners turn out creative and delicious sandwiches and salads and make their own fresh fruit and herbal sodas (the fresh squeezed grapefruit juice, rosemary infused simple syrup, and club soda was the best non-alcoholic drink I’ve ever had). We liked it so much we biked twice to the café for lunch. 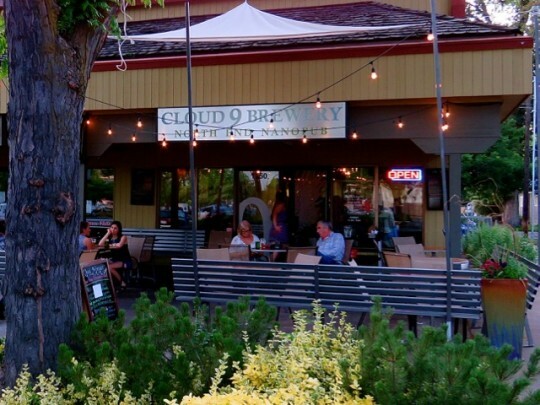 With more than 50 craft breweries, we narrowed our choice down to Cloud 9 Brewery in the charming North End neighborhood. Salted Caramel Stout? Yes, please!! All of the beer was excellent at this sweet little pub—what makes them stand out from the crowd is their commitment to sustainable, local, and organic beers. Their small restaurant shares the same commitment and is equally excellent—on a delightful evening, we enjoyed a perfectly prepared risotto with local salmon, asparagus, and spring peas. 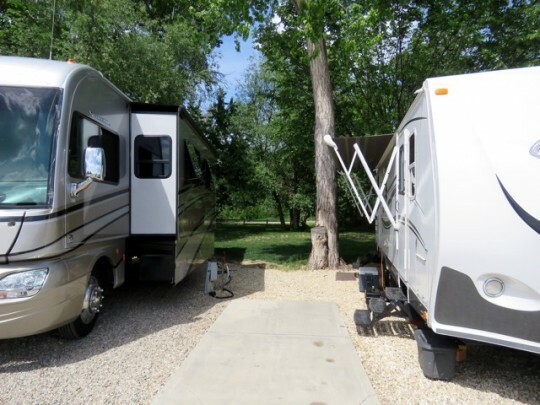 Boise Riverside RV Park is basically an enormous gravel parking lot with large sites, most with concrete pads, and some with shade trees. We were there in late spring, and had a very nice site that backed up to a grassy area with trees. 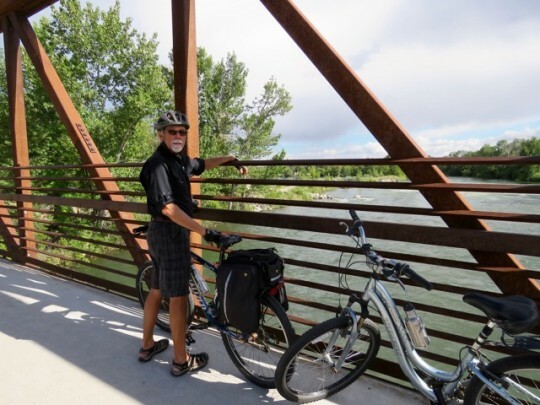 It’s all about location here—the park is on the Greenbelt multiuse trail, which offers miles of peaceful walking and biking along the river; a 15-minute bike ride takes you to the downtown parks. En route from Angel Creek, Nevada to Boise, we spent one night at Three Island Crossing State Park near Glenn’s Ferry, Idaho. 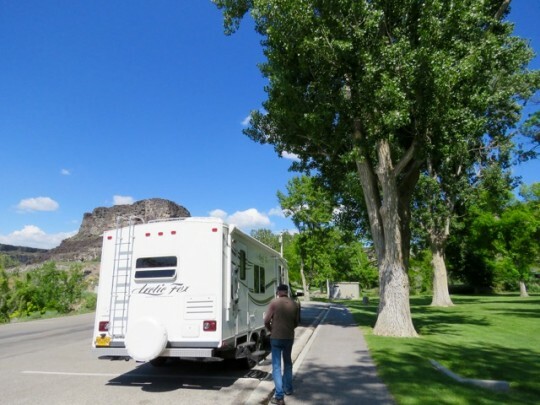 This pretty, peaceful park is set along the Snake River, with spacious sites surrounded by shade trades. 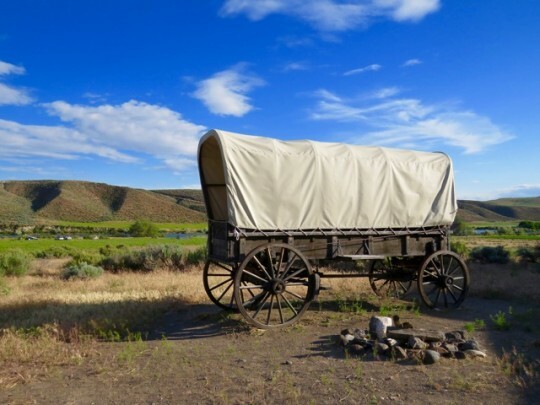 There’s a small museum devoted to the Oregon Trail and a view across the river of the deep wagon ruts carved into the hillside by intrepid pioneers who chose to cross the river here. We were wishing we had more time at this lovely park. Known as the Niagara of the West, Shoshone Falls (located at the edge of Twin Falls, Idaho) was on our route to Boise. Created by seasonal runoffs from the mighty Snake River, Shoshone is one of the largest natural waterfalls in the United States. We stopped for a picnic and a walk—it’s well worth a visit. and on top of all that it looks so perfectly clean…. Peggy, it is a picturesque town—and clean, as you said! People definitely seem to take pride their city. You bring back so many good memories. 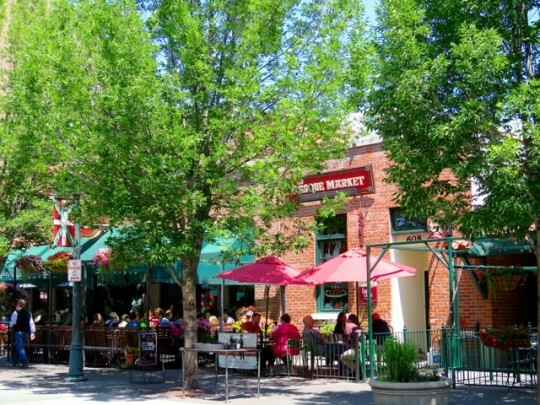 We’ve stayed many times in Boise, but have missed several of the eateries you mentioned. Must go back to try them! Nina, we would return to Boise just for the food. And biking, too, of course (helps to balance out some of the indulgence :-)). My husband is from Boise and is not interested at all in living there, says it’s too “deserty” for him. 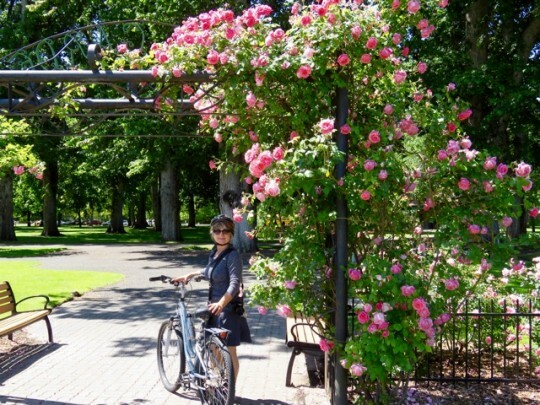 I love to visit, the parks and bike riding are wonderful. Dawson’s Coffeehouse downtown is my favorite. And Foot Dynamics, if you have “special” feet like me, is the best shoe store anywhere, also downtown. Thanks so much for the suggestions, Nancy. Next time we’ll try Dawson’s Coffeehouse, and the shoe store, too (I also have “special” feet” :)). Boise is definitely “deserty” but is so pleasant with all of the trees and the river. Not sure how it would be in summer, though! You guys are going to love Boise, Jodee. And it’s perfect for walking Tessa, with the Greenbelt so convenient to the RV Park. 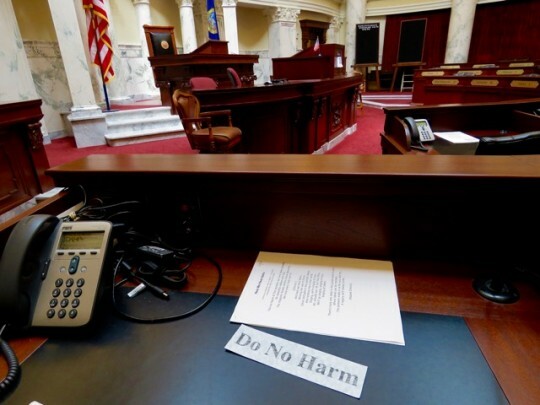 I agree—every law maker needs that reminder! Our world would be a much kinder, better place. 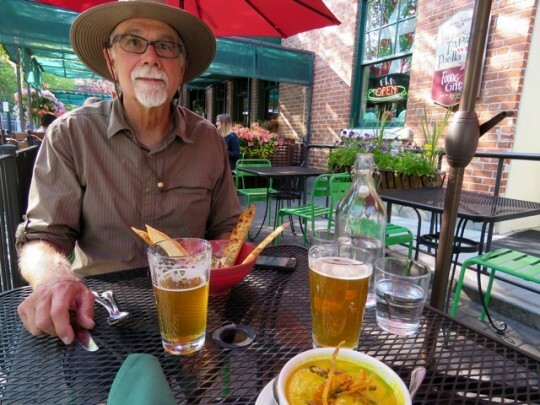 We have spent very little time in Idaho, other than with friends who live near Sandpoint. I have been hearing a lot about what this state has to offer. Seems a longer visit is in order. That Bleubird Cafe sounds wonderful. 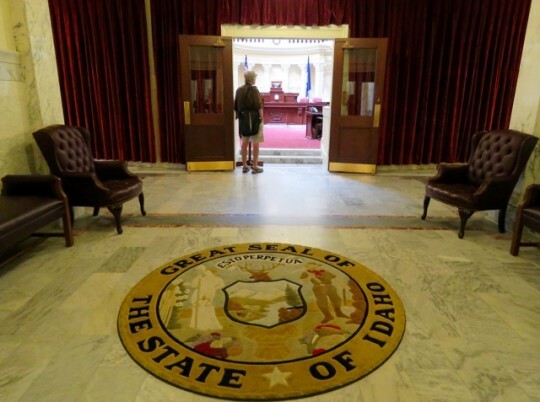 More time in Idaho is on our list, too, LuAnn. There’s so much more to explore, including lots of great hiking and hot springs. 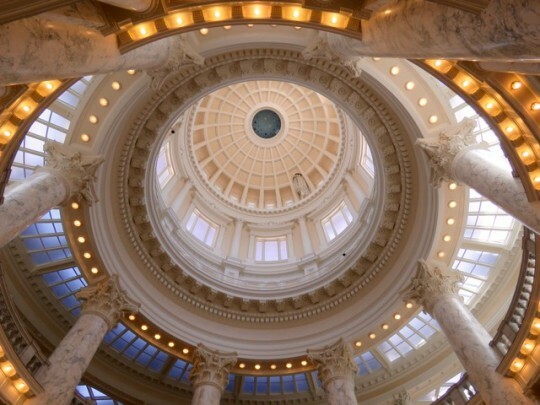 Don’t miss Boise—you will love it. 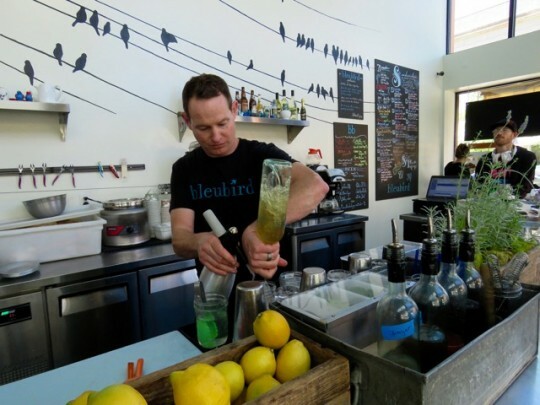 Bleubird Cafe is fantastic—and so is Cloud 9 and the Basque Market. 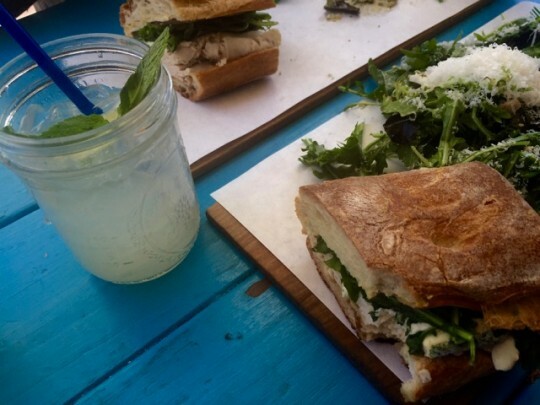 There’s seriously good food in Boise. Almost exactly four years ago we started full timing in Boise (that’s where our RV happened to be located). We spent two weeks at Boise Riverside and very much enjoyed the bike path too. I remember being amazed at the great prices on produce at the farmers market. We even found some natural hot springs on a drive into the mountains one day. It’s a neat area. 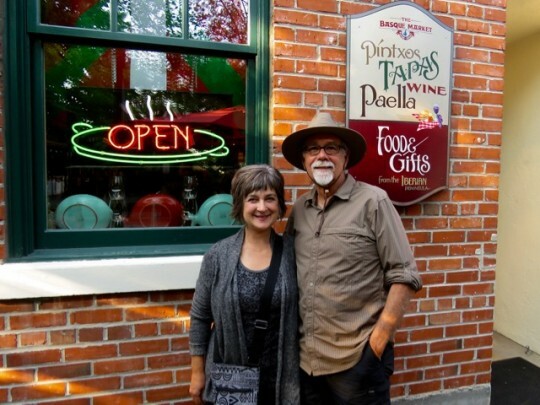 Lisa, we were wishing for more time in Boise—we only had four days, and there was so much more we wanted to do. It would be easy to spend two weeks there! We need to return to do more exploring around the area—definitely need to find out about those hot springs. 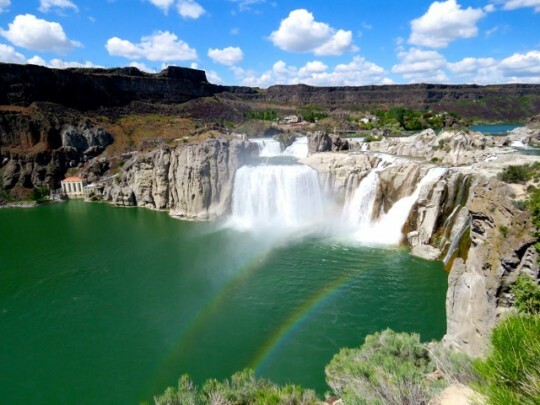 Those Shoshone Falls have definitely grabbed my attention.Riding sounds like a great way to see the city, something we miss out on. Jane, we really enjoy having our bikes with us—we spend a lot of time biking in our travels, much more than we ever did at home (because the biking wasn’t so much fun there). You would enjoy photographing Shoshone Falls—it’s a gorgeous spot. We blew through Boise on our way to Stanley, ID a few years ago. This makes me realize we should have slowed down! Guess we just have to go back. Thanks for the great blog! Boise was not on my radar until now. Amazing that it is so progressive. I love any campground that I can bike or hike from and not have to drive. Love the Basque area. Would love to try that food. IF we ever get west again this is definitely a place I’d like to spend some time. Good job on your part since I normally avoid all cities. Sherry, we were really happily surprised at how progressive Boise is. It’s a lovely, interesting city—staying at the RV Park and biking everywhere, we didn’t even feel like we were in a city. I hope you guys can get out west again soon. Pretty town! Conner lived in Boisie while he was on the Helitac crew for the wild land firefighters. Another place we usually just move through without stopping! We’ll remedy that next time thanks to your beautiful pictures. Again, you find the coolest places! 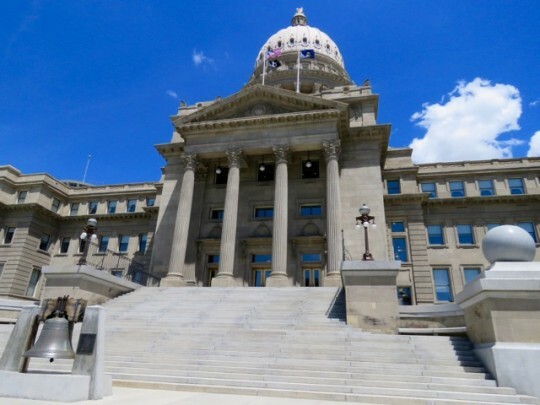 We really enjoyed our short visit to Idaho, but I think we need to revisit and check out Boise. Who’d a thunk it? Lol! Loretta, I think you guys would really enjoy Boise. 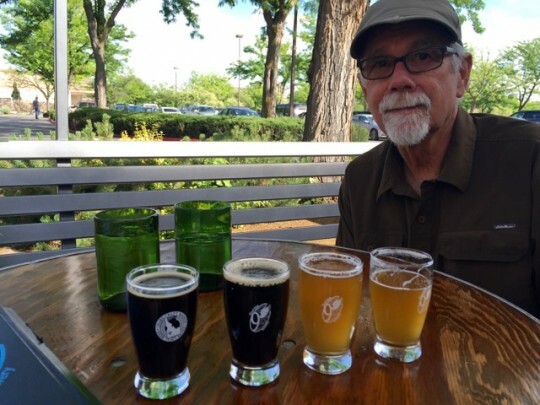 Lots of great beer for your beer connoisseur hubby to sample, too! Looks like our kind of town. Glad you have your internet back. Debbie, the great biking trails made Boise a lot of fun for us. Definitely seems like your kind of town. We’ll try and get there next year if our house ever gets done. Looks lovely. Brenda, you guys will really enjoy Boise. But you might not want to leave Brookings when you finish building your beautiful new home! Anyway, thanks for some good ideas here! We’re looking forward to it – just wish it wasn’t gonna be so toasty. Sounds like spring and fall are definitely the times to visit!